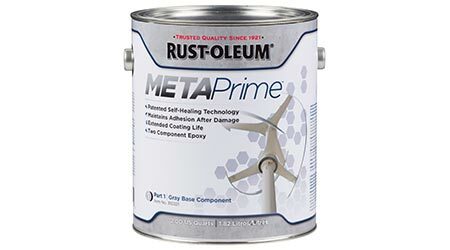 META Prime uses a self-healing technology to extend coating life on surfaces susceptible to damage. It is a two-part epoxy primer designed to maintain adhesion and prevent rust creep after the coating is damaged. When the surface is damaged, META Prime releases a healing agent that cures to regenerate protection to the coated surface. Suitable for immersion service in non-potable environments and for areas that are often subject to abrasive environments.